Our competition winners have been chosen! 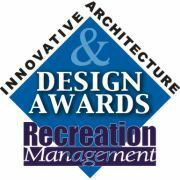 With the hopes of highlighting the best and most interesting projects the recreation industry has to offer, our 2004 innovative facility picks are unveiled in special detailed profiles. We are proud to showcase these facilities—new or recently renovated, from community centers and universities to health clubs and aquatic complexes, and everything in between—that are helping to set standards of excellence in the recreation community. The key merit our judges have been constantly seeking is "innovative," hence the title of this competition. We are proud to be highlighting facilities that serve as excellent examples to our readers as well as generate good ideas for our readers' own facilities, which, of course, run the gamut in size and scope. 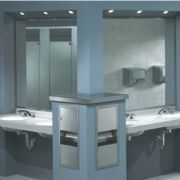 When it comes to restrooms and locker rooms, it never hurts to brush up on the bedrock basics—essential elements that never go out of style and keep patrons faithfully coming back. But knowing how to improve on those essentials with new technology, creative ideas and trend-savvy know-how can make for both happier patrons and even higher revenues. If you're still on the fence about investing in a new aquatic center, these waterpark success stories could be the impetus you need to climb off the fence and develop one yourself. Food service is often the most overlooked and under-profitable part of your facility. Find out the difference between price vs. value when it comes to outfitting your operation and what your food-service equipment really may be costing you.